Do you fancy trying to break your Oppo Find 7? Unified storage is something we’ve come to take for granted these days, your shiny new phone or tablet has an internal memory dying for you to fill it with your junk. That memory is one nice big lump with no restrictions on what you can put where. But sometimes phone manufacturers make it as hard as possible to fill it with what you want. They split the internal memory into several smaller partitions. When asked why they say that’s what people want or that it’s been like that since a time when no one knew any better. 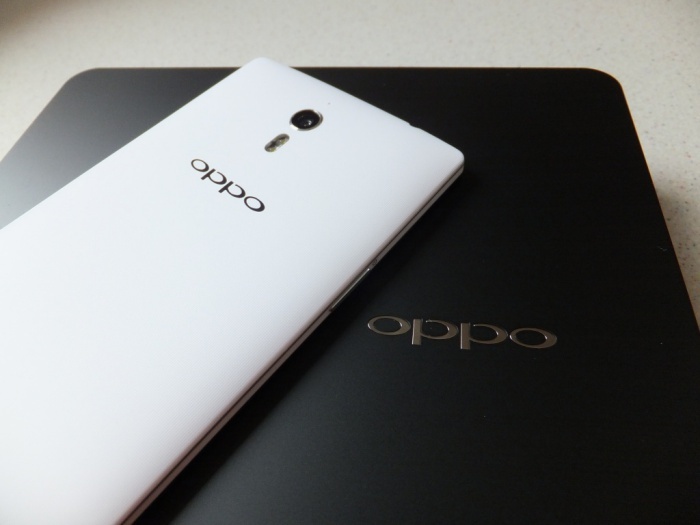 One such recent device is the Oppo Find 7a/7, I reviewed the Find 7a recently and found it to be a decent device that Oppo had crippled by splitting the internal memory and leaving you with only about 3GB out of the box for app installation they decided the other 9GB would be good for media or documents. Which made life difficult. When a device has a 16GB internal memory it is crazy to do this. That one thing really annoyed me, how could a company mess up a potential genre redefining device so badly with a tiny oversight on what modern day people want out of their memory partitions. Despite rumours suggesting that Oppo were going to update the Find 7 and 7a with a unified storage solution, it never appeared. So it has been left to the developers on the Oppo Forums and last week Oppo forum member Coldbird the easiest method to combined your memory partitions has appeared. After all of the fiddling about and installing different stuff you end up with about 12GB free and you’ll also end up on a stock Android ROM. To be clear here you will loose Color OS if you do this, so if you like Color OS do not do this. It is all not without risks and it will involve you needing to be able to install a fastboot driver on your PC and you could quite possibly brick your phone. Download Unified storage utility ZIP, Unified custom recovery, unified custom ROM (Nameless) and Google Apps package. Make sure Fastboot drivers work and device is recognised (if you don’t understand this you should stop here). Unpack unified storage utility and run relavant file. Flash the unified TWRP custom recovery again via a utility in the download file. 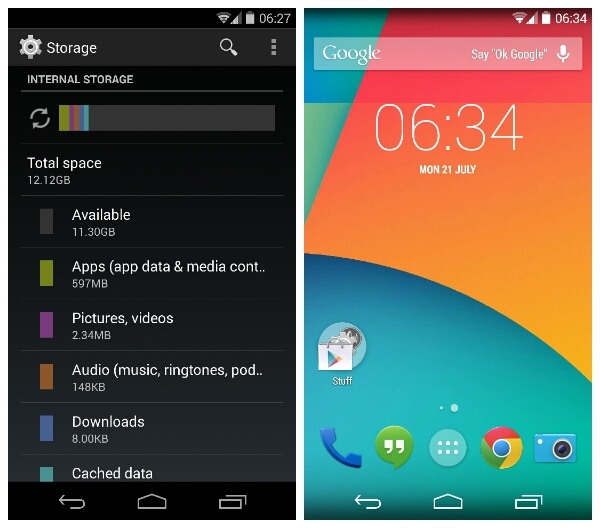 Copy custom ROM and GAPPS to a Micro SD card. Boot into recovery and wipe everything apart from the SD card. Install ROM and the install GAPPS. Quickly wizz through initial setup and get to the settings to check if it has worked. If you head over to the link below you’ll be able to get more info, a slightly more in depth set of instructions, links to the files you need to download and if you need help you’ll be able to post a question on the forum. Lastly I should say, don’t forget this if you aren’t comfortable with ZIP files, Fastboot, custom ROMs, custom recovery, losing ColorOS, losing your warranty or losing the fancy Oppo camera app. If you break your phone it’s your fault entirely.